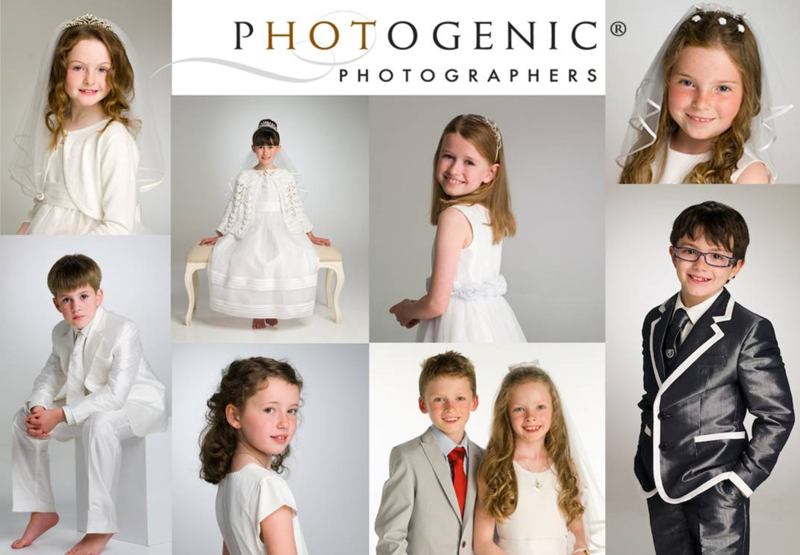 A gorgeous portrait from one of Ireland’s best-known photographic portrait studios is the best way to capture & celebrate the joy of your child and the dignity of their First Communion or Confirmation. Your portraits can be as simple, as traditional or as spontaneous as you wish. Our priority is to create an enduring memory that respects the occasion and adds to your child's memory of this important time. This exclusive offer includes a portrait session for a child with one of the studio’s principal photographers, a large Gift Portrait in a desk frame & two small, mounted Gift Portraits to share with grandparents, godparents or friends. PHOTOGENIC has a beautifully appointed, ground floor studio in the heart of Dalkey, opposite the Dart station. Your child will receive an individual session with the time and attention they deserve in the friendly & comfortable surroundings of this renowned studio. Barry & Margaret Moore of PHOTOGENIC, Dalkey have been capturing Irish families & children in their own distinctive style since 1991. Sessions are available Tuesday to Friday, with some limited Saturday availability, between April 4th and June 30th 2017. The studio is closed between Friday April 14th & Monday April 17th inclusive. The large Gift Portrait is 20x15cm (8x6inch) and is presented in a silver plated desk-top frame. The smaller Gift portraits are 13x18cm (5x7 inch), presented in our exclusive mounts and are of the same image as the large gift portrait of the Communion or Confirmation child. Advance booking is required & subject to availability - please book early for Saturdays. The studio has a cancellation policy – please ask when booking. Offer is for one child on the occasion of their First Communion or Confirmation, one offer/session per family.